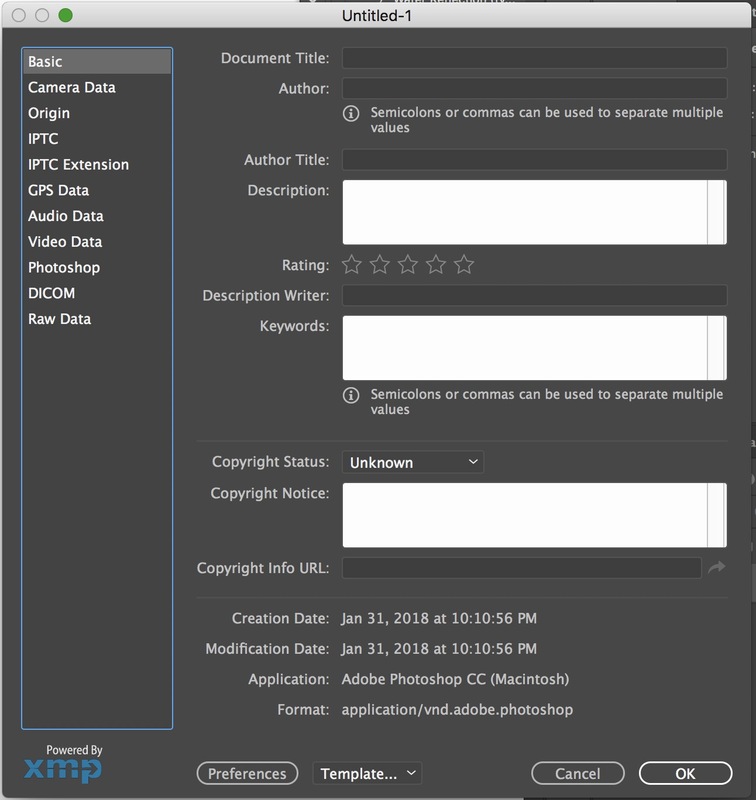 The right side Exif tab has there under the summary popup selector panel a little description text block for some text input. - Though this is of limited usefulness here and not as extensive as the capabilities in PS, LR or other tools offer here. You could always use Photos Exif Editor and there is https://exifeditor.com if you are in the UK, this isn't available from the Appstore, I've contacted them to see if I can get a copy.